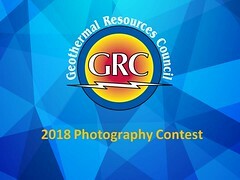 Under the framework of Global Geothermal Alliance (GGA) (GRC is a Member) – IRENA, the International Geothermal Association (IGA) (GRC is a Member) and the World Bank are co-organizing a series of technical sessions with the Geological Survey of Ethiopia (Under the Ministry of Mines), and other local stakeholders in the geothermal sector in the country. The group seeks to gather information for developing an understanding of the inventory of existing geothermal fields and resource recovery estimates in Ethiopia, and to support the country in classifying these estimates based on Internationally acceptable guidelines of the UNFC. The group will also look to gather specific data-sets on sub-surface geology (ideally up to 10 kilometres (km) depth showing sedimentary basins - thickness, density, thermal conductivity and permeability) and existing bottom hole temperature logs for Ethiopia – required to model and develop high resolution vertical temperature maps in 1km vertical intervals up to a depth of 10km. The result will be digitalized and integrated into the IRENA’s Global Atlas for Renewable Energy platform to enrich the geothermal component.